Working Hours - 8:30 AM TO 6 P.M.
CTC - RS. 1 to 1.5 Lacs Per Annum. Fresher CFA, MBA - Marketing or Finance. Candidate should possess presentable personality. 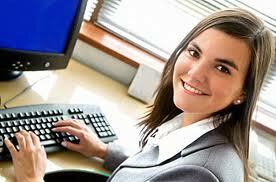 Candidate seeking a career in Back Office or Operation should not apply. Communication Skills - Candidate should be fluent in English, Hindi and Regional Language. To work on a Computer Terminal and to trade in Equity on behalf of the customer. To Punch Sauda (Stock Trading Entries) on Software such as Neat/Odin etc. Manage relationship with existing HNI and Corporate Clients. Generate Leads of New Clients via Tele Calling and references of existing clients. We are hiring for a Reputed Stock Broker (A Reputed Brand). The company is having offices all over India. To apply email us your cv at ecommhr@gmail.com with the Job Code.